On 1st January 1887, William Bailey, aged 36 was appointed Agent of the Nottinghamshire Miners’ Association (NMA). Aaron Stewart was President. During the year the Leicestershire Miners’ Association was formed. 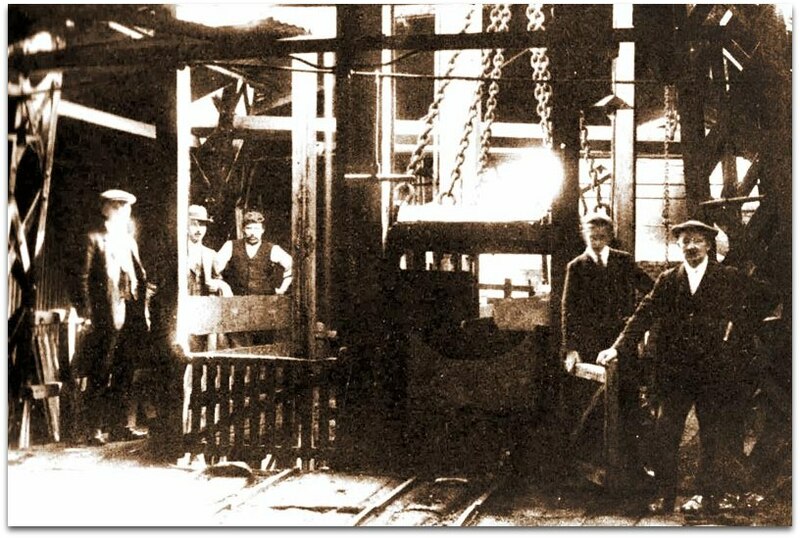 William Hey (717), Manager for Silver Hill, Teversall and Pleasley collieries (Stanton Iron Co) died suddenly in 1886 and was succeeded by James H Morton until 1889. Teversal No1 DC pit top is shown. Possibly he is shown as it would to appear that there are several officials on the photo, according to their dress. Note the height of the top deck of the cage, used for manriding at beginning and end of shifts showing how the men would be crouched in cramped conditions. 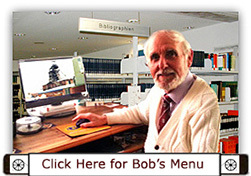 It had not changed when I worked there in the 1950s. I had a ride on it a couple of times! The men at Silver Hill pit came out on strike when the Stanton Ironworks Co not only refused to negotiate on the 8 hour shift question but tried to get the men to work from 6am to 3.30pm instead of from 6.30am to 3.45pm. The Manager J Morton refused the men permission to enter the mine on 2nd January when they turned up at the usual time. A delegation from the union met William Clark the Managing Director and it was finally agreed that working hours would be from 6.30am to 3.30pm but with no snap time. They came out on strike again but only for one day before reluctantly returning to work on the terms agreed. There was a walk out at the Selston pit and Bleak Hall that lasted about 2 weeks. There was a strike at Morton (Derbyshire) (Clay Cross Co) in April 1887 and the men were locked out for 5 weeks. It was over the introduction of ‘Billy Fairplay’, an automatic machine that sorted hard coal from slack. The owners threatened to close the pit and the men returned. Winks Bank 1883-1889. It was re-opened for a while (see 1889). It lay near to the border in Derbyshire near to Winterbank Farm in Derbyshire and only a two or three hundred yards away was Winterbank that was in Nottinghamshire. Confusing to say the least. On Good Friday 8th April 1887 there was a Miners’ demonstration on Bulwell Common, attended by a huge crowd. At Skegby Colliery, Brierley Hill pit (later Sutton) (Nottinghamshire) (New Skegby Colliery Co) the Top Hard seam was discontinued in June in an area close to the pit bottom accessed by a 1in5 dipping drift. The working was approaching a supposed 60 yards (54.75m) dipper fault to the east, where previously a 1in2 dipping head had driven nearby some 20 or 30 yards (18 or 27.5m) beyond the fault plane and a borehole drilled – with the remark – borehole 21 yards (19m) deep, 15 yards (13.75m) in depth proved without finding coal. The seam was later re-opened shortly after in 1889 and worked until 1922. A third shaft was sunk at New Hucknall, down to the lower seams by the New Hucknall Colliery Co during 1884-1887. 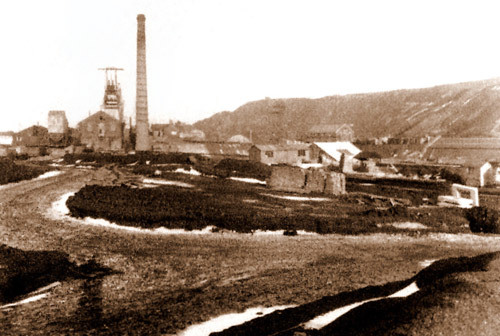 Staveley Coal and Iron Co’s Markham No1 colliery was sunk 1882-1887 to the Top Hard and sinking began at the Markham No2 pit in 1886 to the Deep Soft seam. Charles Seely and Co sold the Tibshelf No1 and No2 colliery (Derbyshire) to the Babbington Coal Co. 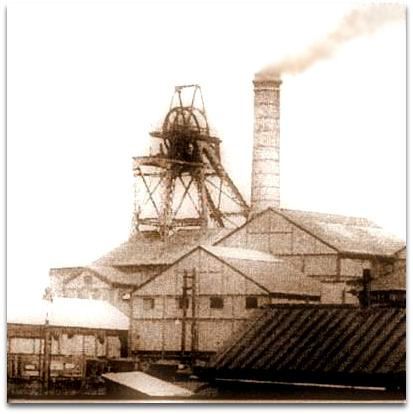 The Butterley Co had obtained a mining lease in 1887 at Kirkby-in-Ashfield, (Nottinghamshire) . 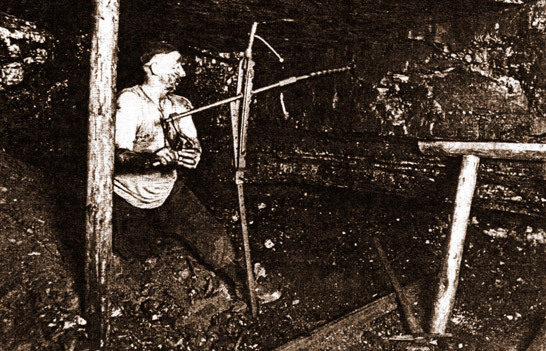 Two 14 feet (4.26m) diameter shafts called Kirkby or locally known as Summit Colliery, would be sunk off Low Moor Road between 1887-1890 at the summit of the Pinxton to Mansfield railway, height above sea level 505 feet (154m). The local name was no doubt given because of the colliery’s location as the railway from Pinxton to Mansfield passed close by. Notice the greyness in the photo. It always seemed to be like that with steam and smoke and dust and grime from Kirkby Summit pit and the engine sheds drifting across Low Moor Road and East Kirkby. John Wardle, Chief Surveyor for Butterley Co since 1842 (45 years) was succeeded by John Holbrook who died in post January 1930 aged 81 after 65 years service and in turn was succeeded by Ernest Severn Lamb until 1938 (8 years). He too would be succeeded by Vic Priest to 1946 (8 years). From 1887, under the new Coal Mines Regulations Act of that year it was required that in future, Undermanagers at collieries be certificated by examination and also required the candidates to have at least 5 years practical experience. Second Class Certificates of Competency was introduced. Again as with the Managers in 1873, those Undermanagers in post were presented with Service Certificates. The Mines Inspectors were given more power to oversee the mines and report on or forbid dangerous practices. One of the most important requirements was that every mine was to be under the control and daily supervision of a certificated manager. For the first time Owners, Agents and Managers who were made responsible and were proved guilty of any offence against the Act were fined a sum not exceeding £20 or if the case was proven to be gross negligence a sentence of imprisonment of up to 3 months could be given, with or without hard labour. Arthur Henry Stokes (1505), Assistant Inspector had been appointed Chief Inspector (1887-1909) on the death of Thomas Evans. Two Assistants were appointed also – William H Hepplewhite and Thomas A Southern. On one occasion the Inspector decreed that pick blades were not to be carried on the cage whilst riding men as a pick handle slipped from someone’s grasp and dropped down the shaft striking the cage coming up. It was stated that the next man to ignore that rule and be found out, was to be prosecuted. A Regulation laid down the width of solid ground to be left as a barrier between existing workings and old or abandoned workings that could not be examined. A width of 40 yards (37m) was stated, although it was not necessarily the thickness of the barrier that would be safe under all circumstances, but possibly against any unknown error that could be in the plotted position of workings shown on the mine plans. Regulations were also implemented that regulated the speed at which a cage containing men could be drawn through a shaft if an overwind preventer was not fitted. Further Regulations governed the use of explosives. Shots were only allowed to be fired when water or other contrivance was used, so as to prevent the ignition of gas or coal dust. Ambulance work was considered important for the first time. Woodville (Woodville Sanitary Pipe Co) Fireclay and Ell coal, Manager JW Moreton.